“We compliment Education and Health International (EHI)and Sri Venkateshwar International School Sector 18 Dwarka(SVIS) for taking up STEM(Science Technology Engineering Maths) in such a holistic way,said the Scientific Secretary ISRO speaking at EHI’s National STEM Symposium at SVIS. Why does our education system not produce more independent thinkers, innovators and inventors? Have educators and parents ever wondered how to inspire and increase their student or child’s awareness of the importance of Science, Technology, Math and Engineering fields in today’s world? With this thought process and vision, The Directors of Education and Health International (EHI),MsAnju Mehta and Mr Ajay Nangia organized India’s 1st STEM Symposium in partnership withSRM University at Sri Venkateshwar School, Sector 18, Dwarka, on Sunday the 22nd of November. It was a platform to stimulate the students’ interest in pursuing careers of tomorrow by allowing them to meet and learn first-hand about the work of engineers, pilots, doctors, scientists and other professionals who are working in exciting and well paying careers. 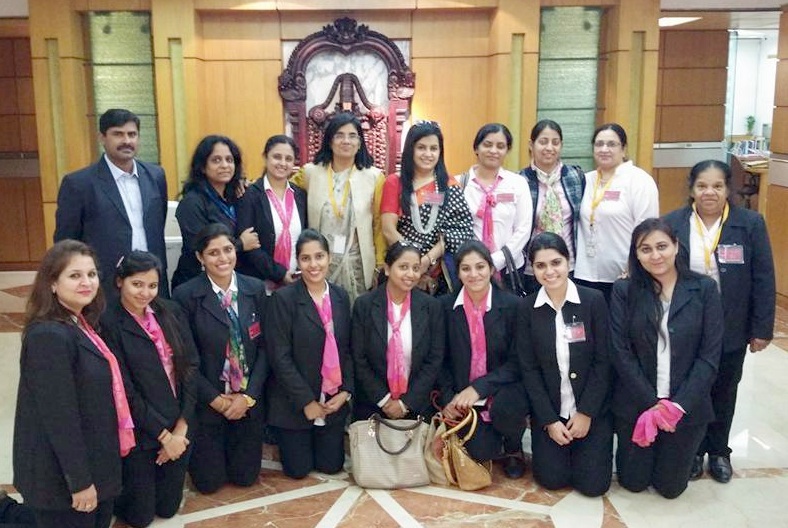 While Mr Sailander Solanki, the Chairman of the host school provided very valuable advice and support, Ms Nita Arora, Principal of the school, added to the conceptualization with her thoughts and initiative. Over 2000 students and parents came together yesterday to celebrate STEM Symposium. This all-day vibrant event included exciting exhibits, inspiring speakers like Dr Y N Krishnamoorty, Scientific Secretary ISRO representing Dr AS KiranKumar Padmashree,Chairman ISRO who also sent a video recording of his address to the participants. He, unfortunately, could not be at the event due to a sudden official exigency. Participants came to know about GAGAN, GPS Aided Geo Augmented Navigation and BHUVAN, a software Application which allows users to explore a 2D/3D representation of the earth’s surface. Prof. Prabir K.Bagchi, Vice Chancellor SRM University, a Professor from the George Washington University delivered the keynote address. The distinguished panel of Judges and speakers comprised Dr Henry Throop from NASA, Dr Makarand Hastak of Purdue University,Industry leaders like the Economist Dr Praveen Mohanty, an investment consultant and Mr PratuishTiwari,an Indigo Airlines pilot.All the speakers had stimulating discussion with the students on STEM education in various countries and various careers options. “Vigyaan”,the All India Science Projects competition saw participation from places as far as Rudrapur, Uttarakhand, Bilaspur Chattisgarh,Nabha Punjab and Jammu. Student teams showcased critical thinking, problem solving, and teamwork skills via beautiful “Vigyaan” competition. Real working models of the finalists were displayed at the symposium. 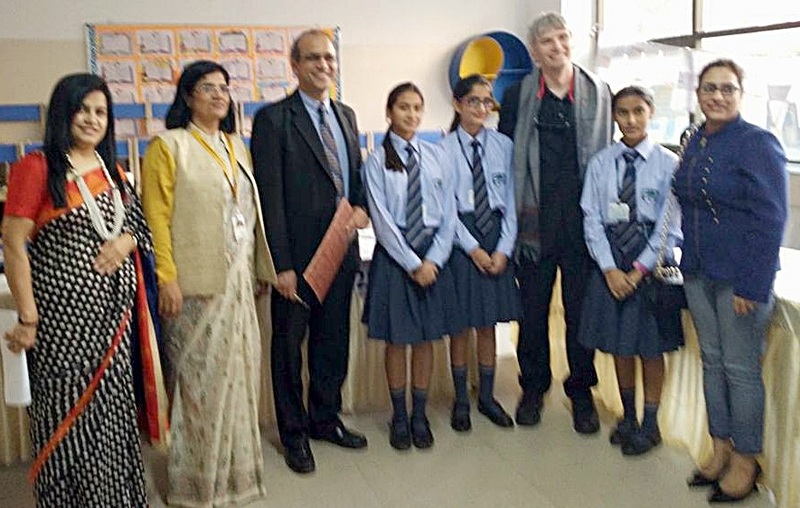 ”The thought process of the children is really interesting”, observed Dr Henry Throop,after extensively discussing the projects with the participants while judging the competition.Other judges were Dr Makarand Hastak, Head of Construction Engineering, Purdue University US and Ms Jyoti Mahajan,Headmistress OPG World School, Dwarka.Excited winners and participants from all over India, are hoping for adoption of their ideas by an industry. We wish them huge success. First Prize in the Senior Category of Vigyaan was won by Piyush Bhatt, Sarthak Aggarwal, Shresth Sharma from the Jaycees Public School, Rudrapur. First prize in the Junior Category was won by PushkarPupreja, Kaartiq Verma, Kritik Bhatia of KIIT School, Pitampura, New Delhi and the Role Play saw Reetik Singh of Sri Venkatshwar International School, New Delhi as the winner. There were many hands-on workshops that helped students learn by actual participation. The Gaming and Coding Workshops by “Kids love to code” drew huge crowds. Children were ecstatic to fly little handmade aircrafts and watch a drone in action.This was made possible by the Dronacharya Academy.Shapersjet gave live demonstration of 3 D printing and renowned Universities like SRM(Also the sponsors for the event) and Ansal University showed children their courses and counseled them. The symposium providedan opportunity to the students for interacting with key business, education, non-profit and government leaders through real-life applications and presentations about how science, technology, engineering and mathematics impact our community. Every parent or educator can be a driving force in a child’s pursuit and curiosity of the STEM (Science, Technology, Engineering and Mathematics) fields. The positive influence of a parent or educator on a child’s academic achievements is irreplaceable. Education and Health International, through STEM Symposium,will continue toprovide the actionable information parents need in order to spark and motivate their children.